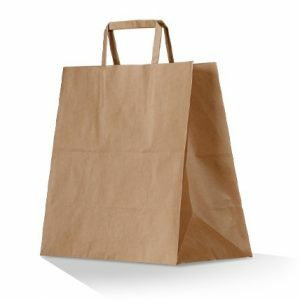 Brown kraft carry bag with wider base, to fit takeaway food containers. 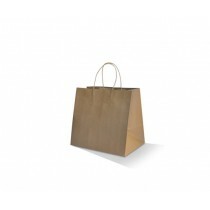 Versatile and sturdy paper bag with wider bottoms, perfect for food deliveries / takeaway. Plastic lining to enforce die-cut handles. Made from paper. Can be re-used. 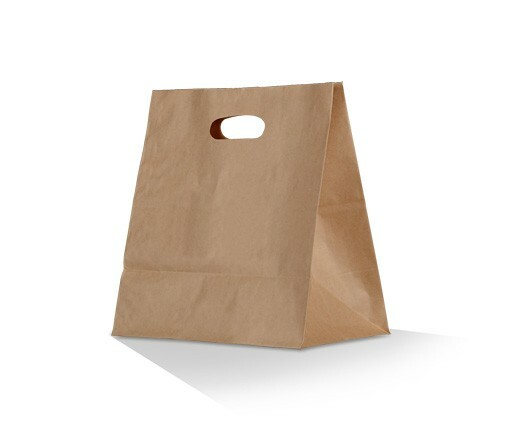 Versatile and sturdy paper bags with wider bottoms, perfect for food deliveries / takeaway. Size: Large. Also available in a different sizes. Can be used as a checkout bag – great sustainable alternative to these nasty plastic bags. Wider bottom allows to fit most food containers / clamshells and cupholders from our range. Made from paper. No plastic. Recyclable and compostable, can be re-used. 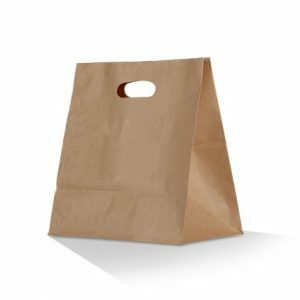 Versatile and sturdy paper bags with wider bottoms, perfect for food deliveries / takeaway. Size: Medium. Also available in a different sizes. 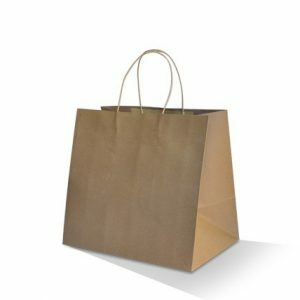 Versatile and sturdy paper bags with wider bottoms, perfect for food deliveries / takeaway. Size: Small. Also available in a different sizes. 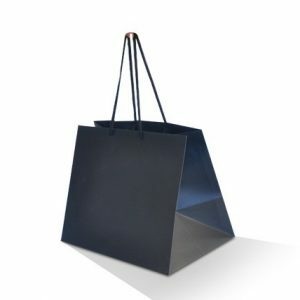 Deluxe black paper carry bag with wider base, to fit takeaway food containers. Ideal for gourmet catering.